I’m looking forward to heading down to the Lower 48 for some great events. On Saturday, June 26th, I’ll be speaking at the Oil Palace in Tyler, TX. You can visit their website here for more details. Then on Sunday, June 27th, I’ll be at the Freedom Fest 2010 in Norfolk, Virginia. If you’re free that day, you can join me, Oliver North, and George Allen at the Ted Constant Convocation Center on the campus of Old Dominion University for an evening honoring our military and first responders (Police, Fire, and EMS). And what better way to kick off the event than to have Lee Greenwood on stage to sing “Proud to Be An American”! I hope you can join us to show support for all the brave men and women who serve in our armed forces and in our communities every day. You can visit the event website here for more details. On Tuesday, June 29th, I head to Atlanta for the P.U.R.E. Celebration sponsored by Zachariah’s Way at the Gwinnett Arena. Zachariah’s Way is a wonderful organization committed to serving our special needs community. You can visit their website here to learn more about them, and if you’re free next Tuesday, I hope you’ll join us. The Obama administration is an out-of-control, ineffective thugocracy, according to Michael Barone, political analyst for the Washington Examiner. Thomas Sowell, whose book, Conflict of Visions, Gov. Palin referenced in Going Rogue described how the United States is slipping into tyranny. In “Obama’s thuggery is useless in fighting spill,” Barone cited Secretary of the Interior Ken Salazar’s infamous “boot on the neck” quote and Obama’s “so I know whose a– to kick,” as two examples of ineffective thuggery, while BP’s gusher gushes unabated 65 days later and state and local governments do the heavy lifting to keep their beaches safe. Judge Feldman, who wrote the ruling reversing the moratorium was even harsher. “An invalid agency decision to suspend drilling of wells in depths of over 500 feet simply cannot justify the immeasurable effect on the plaintiffs, the local economy, the Gulf region, and the critical present-day aspect of the availability of domestic energy in this country,” as quoted by an Associated Press report. 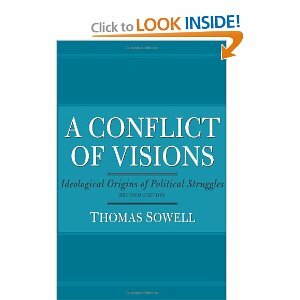 Sowell, of Investor’s Business Daily wrote about an even more insidious form of thuggery, that went virtually unnoticed. 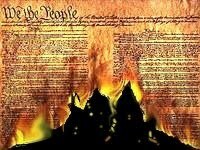 The $20 billion fund was arrived at absent due process of the law, Sowell argues, which is a dangerous precedent that will lead to the imposition of tyranny ostensibly “for the good of the people.” In his article, Sowell describes how arbitrary power grabs and over-stepping constitutional bounds was the underpinning of the Nazi regime. People who adhere to the unconstrained vision (the label applied to them is “liberal” or “left-wing”) believe that human nature is changeable (therefore perfectible) and that society’s problems can all be solved if only the poor, ignorant, disorganized public is told what to do and rational plans are enacted. And who better to make those plans than an elite bureaucracy pulling the strings and organizing society according to their master blueprint? Conservatives believe in the “constrained” political vision because we know that human nature is flawed and that there are limitations to what can be done in Washington to “fix” society’s problems….we do not ignore history’s lessons and waste time chasing utopian pipe dreams. We don’t trust utopian promises from politicians. The role of government is not to perfect us but to protect us — to protect our inalienable rights. The role of government in a civil society is to protect the individual and to establish a social contract so that we can live together in peace. The foregoing clearly indicates a stark difference in visions between Gov. Palin and the entire Obama administration. Gov. Palin clearly supports limited federal government, and adherence to the Constitution, in this case the Tenth Amendment – enumerated powers. She subscribes to the constrained vision. Obama clearly subscribes to the un-constrained vision with its concomitant centralized state planning bureaus, czars and commissars. As pointed out both by Gov. 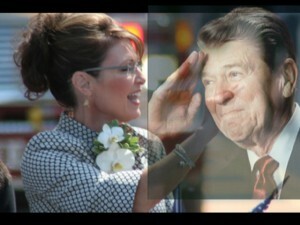 Palin and Obama his own words, he wants to “fundamentally transform” these United States. The past 65 days give a good glimpse as to where this transformation will lead. 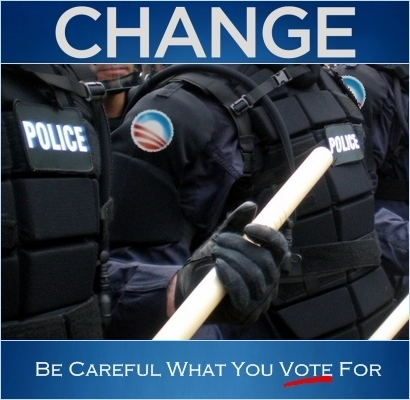 Obama wants us to be not a Shining City on a Hill, but a bankrupt, third rate, third world, ineffective thugocracy. Regardless of his political leanings, Obama is absolutely unfit to serve. He is not a leader, not a commander-in-chief and not conducting himself as a President. He is not the best man for the job. None of the men who are presumed to be running for 2012 against him are the best men for job either. The best man for the job is a woman. Landslide! Nikki Haley and Tim Scott Win Big In South Carolina GOP Runoff! 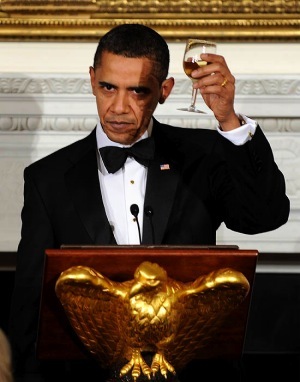 What a great night for common sense conservatism. Two really strong candidates, Nikki Haley and Tim Scott won their runoff contests by huge margins, as expected. Both candidates are solid reformers, and both candidates are endorsed by Sarah Palin. The latest results have Haley with a 26 point victory, and Scott winning an absolute blowout with a 38 point margin over his rival. State Rep. Nikki Haley, an Indian American woman, smashed a glass ceiling in South Carolina politics Tuesday by winning her bid to represent the Republican Party in November’s gubernatorial race. Haley is the first South Carolina woman to lead a major party ticket and will face Democratic state Sen. Vincent Sheheen to succeed term-limited Gov. Mark Sanford. Haley was little known just months ago, but got a crucial boost with early support from former vice presidential candidate Sarah Palin and the Tea Party movement. Haley beat U.S. Rep. Gresham Barrett in Tuesday’s runoff, riding the backlash against the state’s notoriously rough-and-tumble politics. She picked up the support of former Alaska Gov. Sarah Palin and popular former South Carolina first lady Jenny Sanford. With her victory, state Rep. Haley moved one step closer to becoming the first female governor in the conservative-leaning state. She brushed aside allegations of marital infidelity and an ethnic slur to come within a percentage point of winning the gubernatorial nod outright on June 8. And with 40 percent of the precincts reporting in the runoff, she led with 63 percent of the vote to Rep. Gresham Barrett’s 37 percent. [Tim] Scott, also a state lawmaker, hoped to become South Carolina’s first black GOP congressman in more than a century. Scott, who has the backing of several Republican leaders in Washington, led Paul Thurmond, the son of the late U.S. Sen. and former segregationist Strom Thurmond in the runoff. The GOP-leaning district stretches down the Carolina coast and includes Fort Sumter where the first shots of the Civil War were fired. If elected to the House, Scott would be the GOP’s first black lawmaker since Oklahoma’s J.C. Watts retired in 2003. This is outstanding news for America, and yet another step towards taking our country back, but as we all know, we still have a battle ahead. We now have to turn these landslide primary victories to huge wins come November. 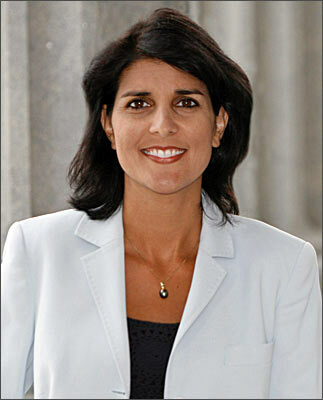 If you haven’t already, check out Nikki’s website www.nikkihaley.com From there you can follower her on Facebook and Twitter. This is the kind of man we need in Congress. You can make that happen. Go to www.votetimscott.com and get involved. Governor Palin will be speaking at Stanislaus University this Friday, June 25th. Much has been made of this particular speaking engagement with people complaining about the Governor being the choice to headline the school’s 50th anniversary celebration. They have hidden behind what they hoped would appear to be reasonable arguments for their protest, but those arguments simply don’t hold water. Look, if school officials would disqualify a “polarizing and divisive celebrity with no connection to our school or community,” as one person coined her, perhaps they need to re-examine the reason for fundraisers. The last time I checked, the institution was proceeding on the common sense theory that she would raise a plethora of cash for them during a time when finances are needed. By the way, if schools, organizations, or companies only invited speakers who were connected to them personally, most people would be wiped out of consideration from the jump. I don’t think you’re being quite honest with us. Mrs. Palin has already passed on her speaking fee and is bringing in money to the university. So it seems that even if you don’t like her philosophy, she is doing good for the college. C’mon! This is ideology! Of course it is. And their hatin’ ways have yielded no rewards, for Governor Palin will indeed grace Stanislaus University this week with her common sense appeal. However, it will not go forward without some planned drama. The word on the street is that Craigslist in San Francisco has posted a protest of Governor Palin’s visit. And what a protest. Apparently the issue now is not the fee, the Governor’s “polarizing” power, or her lack of connection to the school. No, they’ve called on old faithful. They’re protesting her “racism, bigotry, and hate.” What complete loons. And is it just me or do her recent endorsements belie their claim? Just saying. Indeed, these people have built air castles and moved in, and the voices inside their heads are getting the best of them. Protest Sarah Palin & the Tea Party! Meet at the corner of Monte Vista and Geer Rd. A CALL FOR UNITY AGAINST RACISM, BIGOTRY, AND HATE! The CSU, Stanislaus community rejects Sarah Palin and her Tea Party! We are a community of working class immigrants and people of color who have been historically silenced and pushed aside by the right-wing elite that dominates our Central Valley. We will be silent no more! We urge our brothers and sisters through out California to support our struggle against the hate and racism destroying our communities. 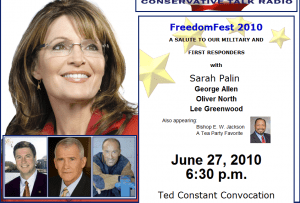 Join us on June 25th, 2010 at CSU, Stanislaus and help us show that Palin’s agenda of hate, racism, and right-wing reactionary politics is not welcome in the Central Valley or in California! Of course these nuts have no evidence for their allegations, as they never do. They simply throw out their own hate speech and rely on silly, gullible people to jump on board in agreement, people at a loss for how to handle their paralyzing fear of Governor Palin who is kicking their butts in every single debate in which she chooses to engage. The fact that she’s making their president look like the unprepared community organizer that he is doesn’t do anything to endear herself to them either. So…you know the script: “racism, bigotry, and hate.” After all, anyone who sat in Jeremiah Wright’s church for twenty years must…Oh wait, that was someone else. Sounds like some people are projecting. If you’re in the area Friday and can show up and demonstrate your support for Governor Palin, go for it. Drop a line to @palintwibe or email palintwibe@yahoo.com to say you’ll be there. As many as can, please go and respectfully make a statement that Americans are tired of the games, the politics-as-usual, the racebaiting. I believe it’s safe to say the Stanislaus protest will be as futile as the protests that have come before. The Governor is not going to sit down and shut up, no matter how loudly the Palin-deranged scream out–and neither are we. Update: It appears that Bill O’Reilly misspoke when he said that Governor Palin passed on her speaking fee, or perhaps he meant she has already brought in more than her fee. In any case, my point still remains because the university didn’t have to pay out for the Governor. As the university president has said, “This event is being 100 percent funded with fresh, private money coming into the foundation” (http://www.modbee.com/2010/03/29/1107171/turlock-uproar-on-csu-stanislaus.html). I, for one, am glad she is getting paid. It’s simple: those who work are worthy of their pay.